Before MST3K there was The Texas 27 Film Vault! This time around in Balladeer’s Blog’s ongoing examination of that neglected 1980’s cult show I’ll pepper in the results of my exhaustive research into the show with my review of another one of the bad movies presented and mocked by Randy and Richard. Previously I reviewed the first and last episodes of the program and am still covering the movies shown where exact broadcast dates can be unearthed. Originally aired on T27FV: Saturday May 3rd, 1986 from 10:30pm to 1am. If the only bad movie show you know is MST3K think of: Women of the Prehistoric Planet, First Spaceship on Venus and Humanoid Woman. 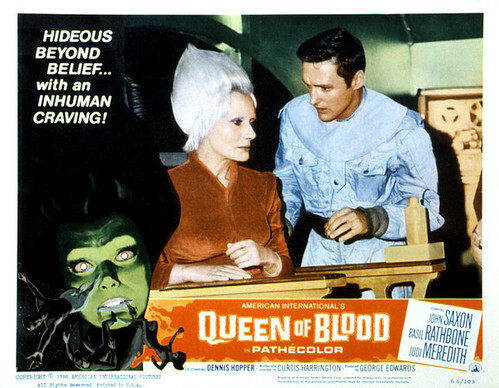 The Movie: Queen of Blood is one of the most joyously disjointed and demented examples of the American sci-fi films cobbled together by recycling some footage from the Soviet movie Planet of Storms and others. The recycled footage is awkwardly edited in with new footage featuring THE Dennis Hopper and John Saxon. In the far-off year 1990 Saxon, Hopper, Basil Rathbone, Forry Ackerman and others are personnel serving in a Starfleet-type outfit. An alien race has contacted the Earth for the first time and is invited over for a visit. Their Ambassadorial ship crash-lands on one of the moons of Mars via cut-and-pasted and often mismatched footage from the foreign films mentioned above. Saxon, Hopper and friends set off to rescue the survivors on that moon of the Red Planet via MORE cut-and-pasted and often mismatched footage. The sole survivor is a green-skinned woman with a hairdo that’s shaped like an onion. She’s our title menace and is really a vampiric alien. The extraterrestrials were planning on visiting Earth only so they could use the human race as involuntary blood-donors. 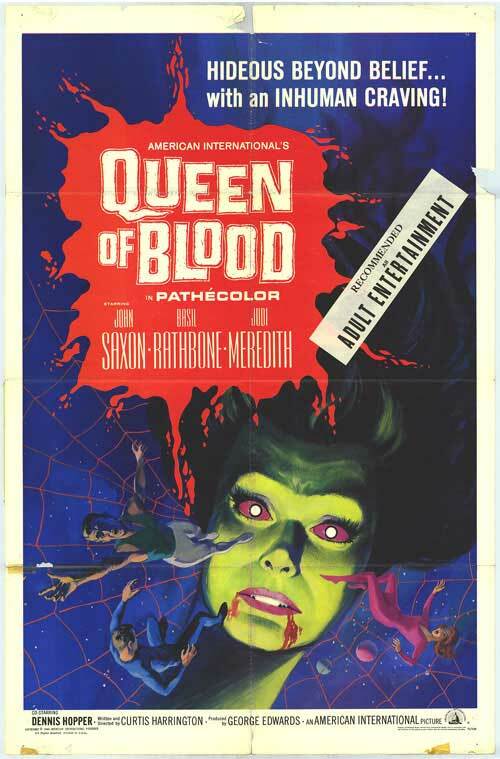 The Queen of Blood also turns out to be like a queen bee and has littered the rescuing Earth ship with red, gooshy, pulsating eggs (obvious balloons being partially inflated and deflated in sequence). As a necessity with these cobbled-together movies the bulk of the action takes place on small, claustrophobic sets. That’s because, for obvious reasons, the actors in the new footage can never be shown in action in the colorful, sweeping alien planet locations from the borrowed footage. SPOILER: The film ends in incredibly anti-climactic fashion. The Queen is a hemophiliac and so one minor scratch from our few surviving heroes causes her death. Hilarious! Her eggs are taken away for scientific study as this whole laughable mess comes to a kind of “meh” ending. I saw this movie at the Renton Theater (Renton Washington) with Frankenstein meets the Space Monster. I paid $0.35 to see them. Both movies were memorable to a 4th Grader. Wow! It’s criminal what’s happened to movie prices. That’s a terrific way of describing it, thanks! Wow! 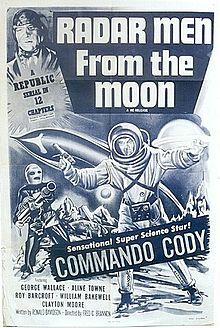 Even the serials like Commando Cody. The Texas 27 Film Vault deserves to be remembered. I thought the show was great and I agree about Dennis Hopper. It was a pre-MST3K movie host show, like Son of Svengoolie and so many others that influenced the Minnesota program. Your mother told me she did last night. It sure does deserve to be remembered. No, I liked MST3K and The Texas 27 Film Vault both, I just took to mentioning that the Texas 27 Film Vault came first because I was tired of emails from Misties claiming Randy and Richard imitated the Minnesota show, which is impossible since Randy and Richard’s show came first. That is definitely an interesting way of putting it! You probably did. It was a sensation in Texas and Oklahoma. I loved ur Forry Ackermann joke! So incredible to find out about this show! Mike Nelson was the least original man in tv history! What a show! 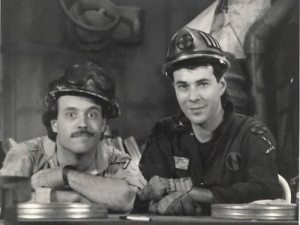 Sounds like it paved the way for MST3K! Forrest J Ackerman is everywhere! I in finding It really helpful & it helped me to out much. I am hoping to present one thing again and aid others for example you aided me.